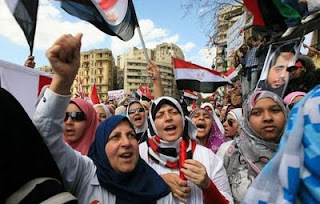 The wave of protests that swept through the Arab world last year – what we all call the “Arab Spring” – involved various methods of mobilization and communication of citizens that have since led to region-wide, progressive instances of revolutionary upheaval. At MAP, we’ve of course been paying most attention to the use of digital technology throughout. I’ve pulled out a few insights – some obvious (but worth solidifying) and some big-picture/not-so-obvious. Let us know what else you think is important. Digital technology usage has become more sophisticated. Digital technologies offered a way for people to connect, communicate, and in many cases mobilize. This isn’t new per se, but the speed and proliferation that it occurred this time around was. Not only did the connections happen, but they led to mobilization quickly and perhaps more effectively than in the past, and instances of mobilization became very wide-spread throughout the region as well (so not just quicker and more effective in one instance, but more prolific). More people are paying attention to and using the information of digital activists. Another important trend to highlight, and one that isn’t going away, is that this type of digital communication is being used heavily for various purposes aside from the mobilization and communication of direct political or social actors. For instance, journalists and media outlets have turned heavily to these tools to get information for reporting purposes….which has it’s pros and cons (see below). It’s not just to the benefit of the activists anymore. We started to see this in Iran in 2009, when governments or anti-freedom groups started “fighting back” using digital technology. It happened slowly, and was not very effective or organized. We saw it more organized in the London Riots and othermovementssince. The real notability of this shift came when I was speaking with a friend in Syria, asking him how things were, that it sounded rough from where I was standing (note: this was before it actually GOT rough), and he said point blank, “you can’t trust any of your media (by the way, he’s mostly American), or Twitter. They aren’t accurate, and we’re safe.” It turns out thatpeople had hijacked the hashtags to report fake bomb attacks andhyperbolizewhat was happening on the ground. Something we’d seen before, but to minimal degrees. (See below point). Ok, who to trust….. Joe (that would be my first inclination, but…)? Twitter (this would be my second outlet, and first in the cases where I didn’t have a friend on the ground)? The press (but everyone tells you not to go there)? In case you didn’t know…. but what’s happened now if that because these tools are in the hands of several different actors, there will be these hashtag hijackings and manipulation of information that we all need to be very careful of. Combine that with the fact that this digital information is being used for multiple purposes, this really muddies the waters. When getting fast information becomes the name of the game, it becomes more difficult to practice discipline when we’re consuming and especially sharing that information. This is so important, because if it isn’t streamlined or worked out, it has the potential to ruin whatever systems are put into place moving forward. If we’re presented with a pile of information, no way to sift through it, and no way to verify it, I ask you how useful that pile of information is at that point – to activists orothers. It depends on who’s being challenged and how receptive they are to public outcry. “In this example, networked actors used social media like Twitter to broadcast elite anti-regime narratives. This mechanism of international agenda-setting made it difficult for other heads of state to oppose the movement publicly, giving the activists a conducive international environment in which to push for regime change. Activists also used social media to mobilize the actual street protests which forced the Tunisian and Egyptians dictators from power. We should watch out for Eastern Europe/Central Asia as a possible next hot spot for outbreaks. Anyone who’s been following this region know 1) it’s highly volatile at the moment and 2) they’ve already used digital technologies to mobilize and communicate in the past, so they’re ahead of the curve. Ok, do you have anything else for us? Also make sure to check out David’s thoughts on the matter.